Happy Wednesday! It's the first Wednesday of the month, so Della, Nicole, Tif, and I are all taking our spin on a style! 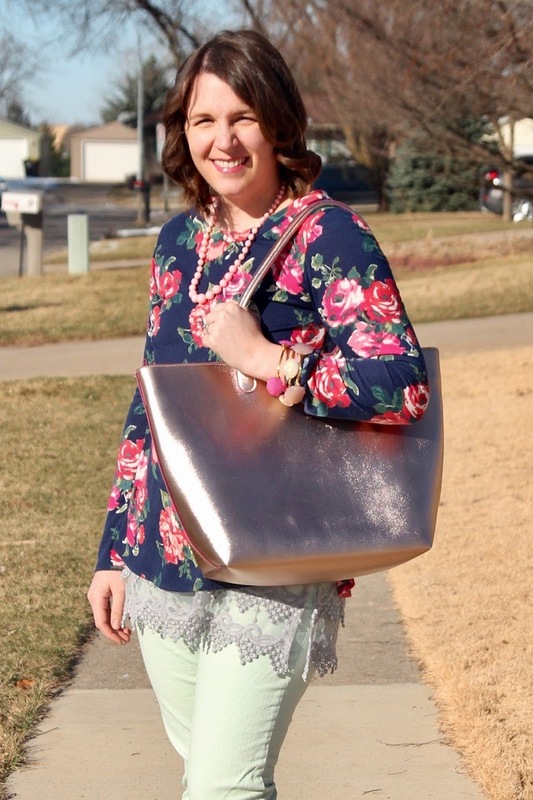 This month we're all sharing florals! 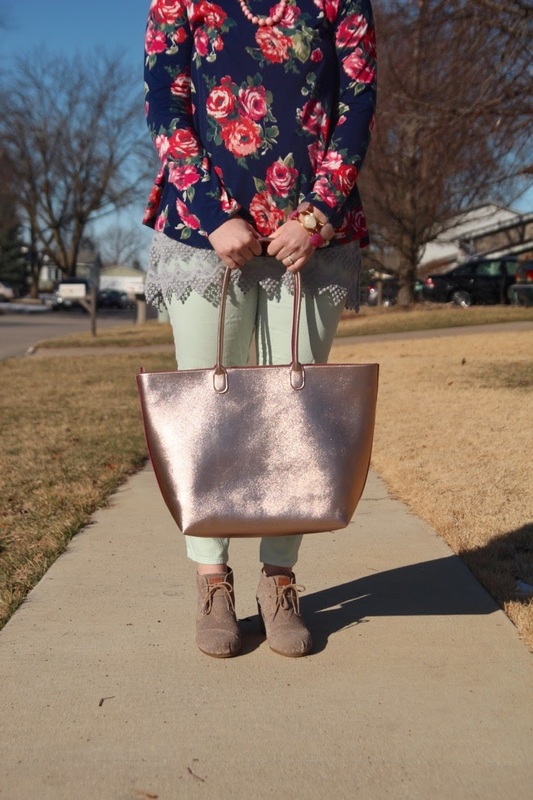 Who doesn't love a good floral print? 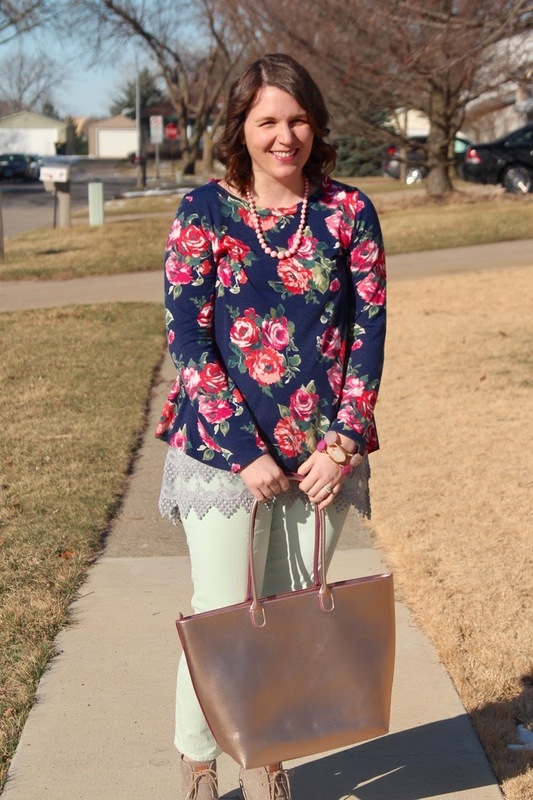 I'm so itching for spring to be here and we've been having tastes of it the past few weeks, and I'm so ready to transition my wardrobe to spring, too! 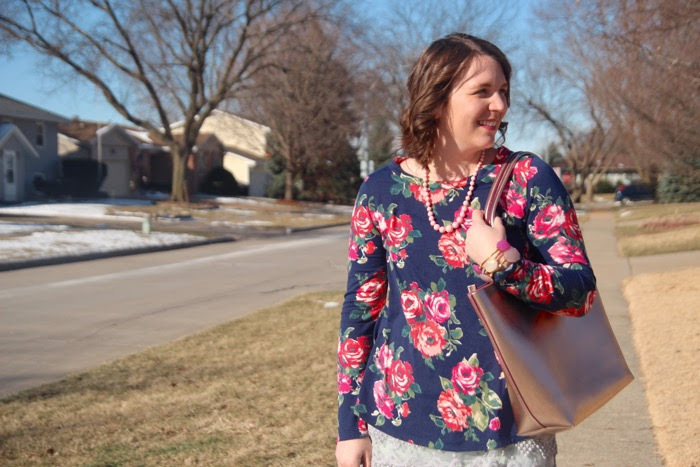 This floral top was just love at first sight with me. 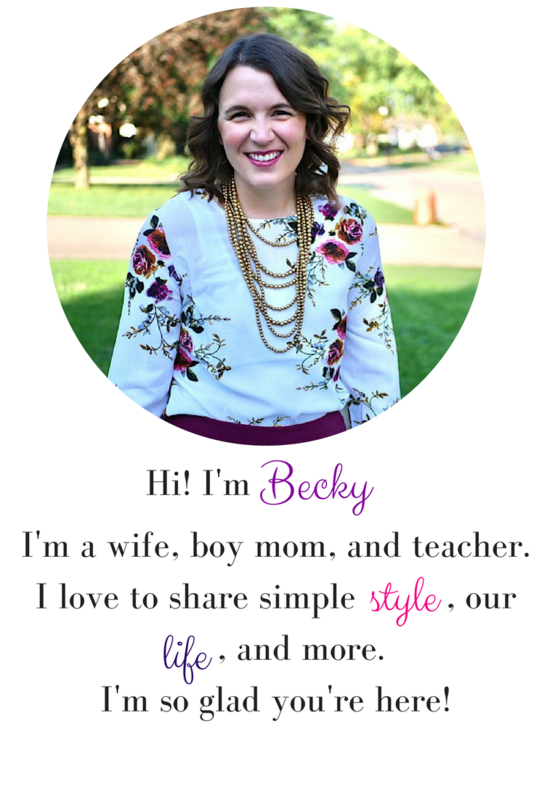 It is navy, which I love, and the pinks on it are my favorite shades! 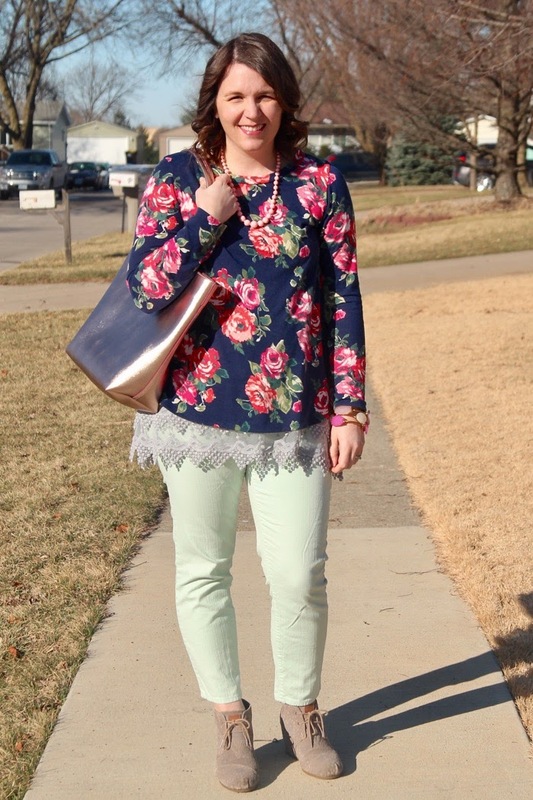 I haven't worn my mint skinnies in a while, but I was totally feeling like spring and they go with the bits of green in the top, too. 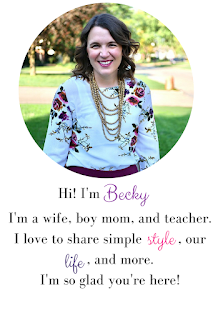 I've styled a lace extender before, and I recently picked up a new gray one. They are wonderful for adding a little femininity to your outfit and of course they help with tops that are too short. This top isn't too short, but I wanted to add a little interest. What do you think? Are you ready for spring? Make sure to go check out Della, Nicole, and Tif's looks! 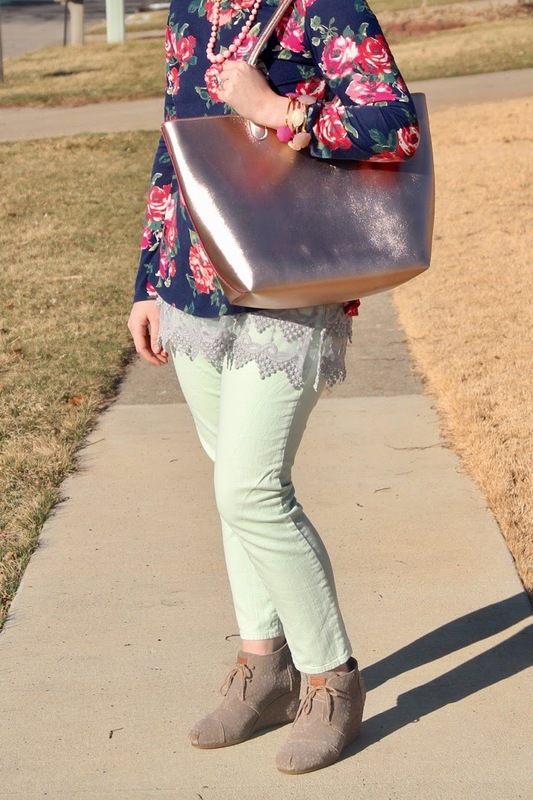 Linking up with The Blended Blog, The Pleated Poppy, Jersey Girl Texan Heart, Thursday Fashion Files, and Pumps and Pushups.